It is a common misconception that 401K plans are only for large employers. Even if you have a small business, you still want to offer your employees a sound retirement savings plan that's also economical. When considering which 401K plan provider to choose, employers have several factors to take into consideration including funding options, customer service, financial stability, and financial structure of the company. Small business 401K plans are tailored to meet the specific needs unique to small business owners and their employees. Whether your business is a sole proprietorship, corporation, Limited Liability Company or a partnership, there is a 401K plan available for you to help provide affordable retirement solutions to your employees. We’ve done some comparisons and come up with these eight 401K plan providers as the best choices available for employers. 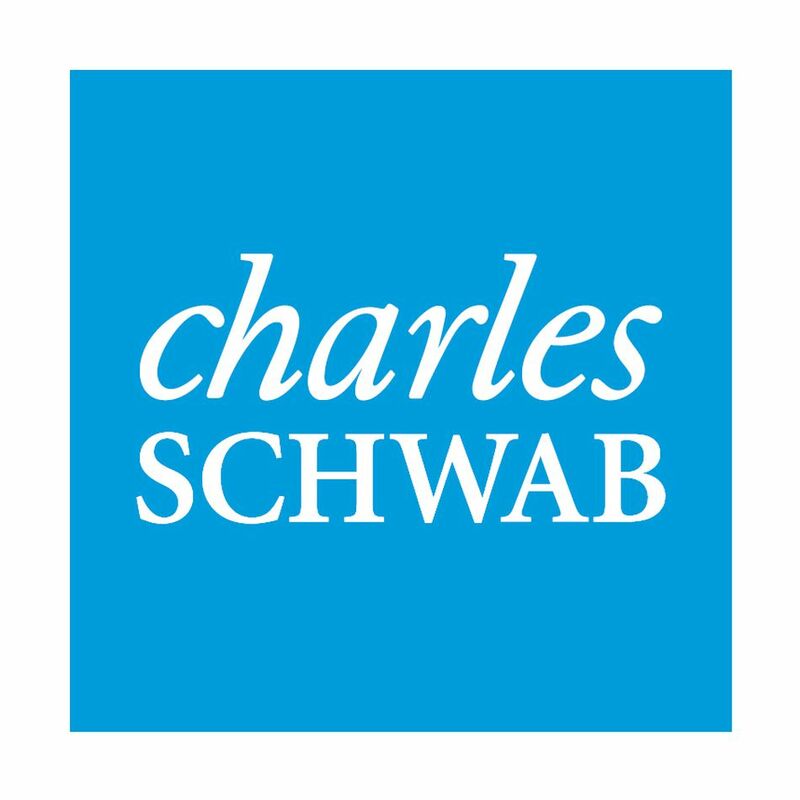 Not many names come with as much recognition with the retirement planning industry as Charles Schwab. Charles Schwab offers Index Advantage 401K plans with low administrative costs, as well as some ETF options. This program comes with advisor services and also has an interest-bearing feature through the Schwab Bank. Plans have no annual fees and employees will enjoy full access to all of Charles Schwab’s brokerage and banking services. Individuals who are self-employed or have an owner-only business can contribute to an individual 401K plan which offers many of the same benefits as the traditional 401K. A great thing about the individual 401K plan is that you can direct how your contributions are invested. This plan has no monthly service fees or maintenance fees and no minimum amount to open an account. Contributions are tax-deductible and earnings are tax-deferred. All Charles Schwab plans come with retirement planning resources and 24/7 service and support. Employee Fiduciary has low fees for setting up and administering 401K plans. In fact, CBS Moneywatch rated Employee Fiduciary as the Best Small Company 401K provider. This company encourages employers to compare their 401K plans against their current provider’s plan, claiming low fees with the same investment choices as plans sponsored by the country's largest organizations. The minimum amount required to start a plan is $500 or $1,000 to convert an existing plan. There are more than 377 mutual funds, ETFs and access to brokerage through TD Ameritrade. The fees for 401K plans are low and Employee Fiduciary provides tax return forms, annual report summaries, benefit statements and a toll-free number for participants needing assistance. Low-cost investment options include Vanguard funds, index funds, and Exchange Traded Funds (ETFs). If you are a small employer that is looking into 401K plans but also needs a payroll service, Paychex may be just what you are looking for. It is an all-in-one service for small employers with an excellent reputation and provides an affordable alternative to some of the more expensive 401K providers. Paychex offers 401K plans to small employers in addition to payroll and HR services, outsourced benefits administration, business loans, and other services. It is mainly an HR/payroll services company but it does coordinate with 401K providers for you and takes care of administration services, making it an affordable option for small companies who need multiple services provided. Paychex has more than 100 offices around the country which can be contacted for assistance. Small employers are billed based on their number of employees and the number of pay periods each year. There are some additional fees for processing tax forms and other services. ADP is another 401K provider that offers combined services for small employers including 401K, payroll, insurance, HR, tax filing, and other administrative services. It specializes in small companies with 1 to 49 employees and offers several 401K retirement plans for businesses this size. Advisor services are available to help you select the suite of products your company/employees need, and employers who switch to ADP from another provider have the option to let their employees transfer their plans over. The 401K plans offer flexible investment options from over 130+ leading investment managers. Three investment tiers are available for participants: basic sample line-up (for investors with little-to-no investment experience), standard sample line-up (for investors with an average level of investment experience), and advanced sample line-up (designed for participants with above-average investment experience). Investors may ask for assistance in choosing the correct plan or ask that a plan is selected for them. Once enrolled, employees have access to a useful mobile application allowing access to their retirement account from their mobile devices. Even though it is one of the largest mutual fund companies in the world, Vanguard offers several low-cost 401K investment options including professionally-managed mutual funds and ETFs. Vanguard does not do plan administration, payroll, banking or other HR and administrative service, but is the plan’s money manager. There is a Vanguard investment fund available for nearly every investor, including more than 100 mutual funds (some of the most inexpensive in the industry), low-cost and diversified ETFs, and target date funds (these funds automatically adjust underlying investments as the retirement date approaches). The target date funds are very cost effective and are designed to maximize retirement earnings. Vanguard does not handle its own customer service — that is handled by a 401K administrator. If a small business owner already has a plan administrator, most of Vanguard’s services are easily integrated, making it an inexpensive choice for 401K investment options. T. Rowe Price is a respected name in retirement planning and has been providing investment and retirement services for more than 80 years. These 401K plans are a great choice if you're an employer with 1,000 employees or less. T. Rowe Price offers over 90 no-load mutual funds/common trusts and more than 5,400 non-proprietary funds. Its low-cost mutual funds are designed to deliver consistent returns and over 75% of these funds have expense costs lower than the industry average. The mutual fund investment options including stock funds, bond funds, target date funds, asset allocation funds, and money market funds. These mutual funds have no sales fees and expense ratios below the industry average. In addition to its 401K plans, T. Rowe Price offers 403(b) plans for nonprofit and tax-exempt organizations such as hospitals, churches, and schools. The 403(b) offers these employees and ​an effective and cost-efficient way to save for retirement. Fidelity Investment is a privately-owned company and a competitive 401K plan provider. It offers a variety of consulting services including plan administration, record-keeping services, trading advisement services, and investment advisory services. The plans administered by Fidelity Investments are ideal for public and private companies with more than 20 employees. For employers looking for a full array of services (plan administration, record-keeping, mutual fund expense ratios), Fidelity Investment is a good choice to consider. Plans have tax-deferred growth potential and contributions are tax-deductible. Employers may choose to match contributions and participants loans are available. In addition, communication and education programs are available to help employees make the best retirement plan choices. Those choices for 401K plans include mutual funds, ETFs, stocks, bonds, and target date funds. Self-employed 401K retirement plans are also available. These plans offer many of the same benefits as a traditional 401K including tax-deferred growth and tax-deductible contributions. A small-business retirement specialist is on-call to help individuals select the right self-employed 401K plan. The great thing about a 401K plan from American Funds is that it can be tailored to fit almost any type of business, from start-ups to mergers to well-established entities. American Funds has more than 360,000 401K plans available including traditional IRA, Roth IRA, individual mutual funds and objective-focused mutual funds. It also has several retirement plans available including growth funds (which maximize long-term growth of capital), growth-and-income funds (which provide potential for capital growth and potential income growth), equity-income funds (which earn above-average current and long-term income), and balanced funds (which look to conserve capital, current and long-term growth with investments in stocks, bonds, and other fixed-income securities). It also offers bond funds, which seek a high level of current income with growth of capital as a secondary goal, cash-equivalent funds that provide income on cash reserves and preserve capital, and retirement income portfolio series to maximize current income, long-term growth, and conservation of capital.